Magic & Balloon Programs for private and corporate events! Evangelism & Outreach Events - Pastor Lantz will help your church put together a complete community outreach event and teach you how to publicize it and follow up with visitors who attend the event. Magician and Balloon artist Craig A. Lantz helps families and organizations make their events fun for everyone! Craig presents an entertaining fusion of magic, comedy and audience participation. From the living room to the large stage, "the Magic Guy" has delighted audiences of all ages. Craig wants to entertain you and your special guests. He has a proven record of success, performing regularly for over 25 years for small and large audiences. Craig will make your next event an exhilarating and unforgettable experience. International Brotherhood of Magicians (Wizard Award in 2005). He is a member of BalloonHQ. 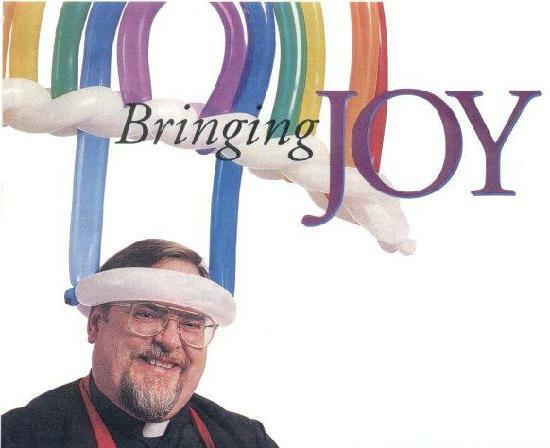 He is an instructor and lecturer in Balloon Arts for the International Fellowship of Christian Magicians.